​or provide it as part of a Birth Support and Education package. The Braidwood Visitor Information Centre is in the National Theatre, opposite the bakery and 'Baby Ben'. The National Theatre is home of the Farmer's Market and many awesome events. Check it out! If you are in or visiting Braidwood, stop into Braidwood Holistic Therapies to pick up a copy of The Birth Map. 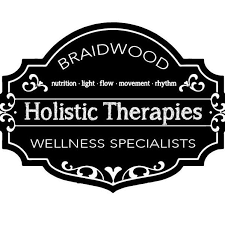 Hollie B has your wellness needs covered, Braidwood Holistic Therapies is open on weekends. When you incorporate The Birth Map into your birth support and education package, or stock the book in your store, you have earned your place among those who Support Informed Birth. Contact me to take your place on the wall of Informed Birth Supporters. For worldwide purchasing information and discounts for bulk orders, go to my blurb bookstore.